Manage Standards ISO 9001, ISO 13485, AS9100, TS 16949 and SQF 2000 / ISO 22000. (CAPA) - Manage corrective and preventive action processes, integrate with quality processes critical to regulatory compliance. Manage customer complaints and understand product performance to ensure customer satisfaction. Document the departure from standard practices and procedures. 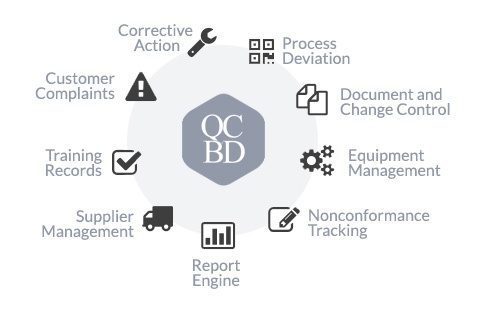 Maintain an audit trail of approvals when departing from standards. 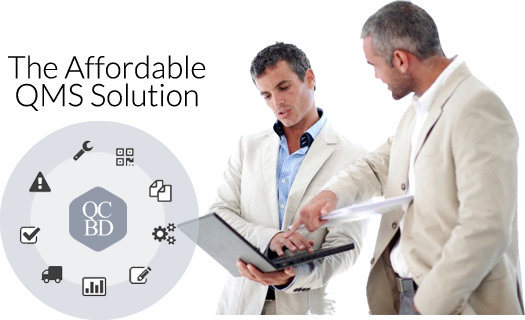 Manage document changes, revisions and deviations. Ensure that all changes are authorized and even link to training records. Track the process of identifying, evaluating, controlling, and handling nonconforming materials, components, parts, and products. Manage calibration, preventative maintenance and qualification activities for all types of equipment. Manage and track training processes and requirements that are specific to your organization. A master list of all your approved suppliers. 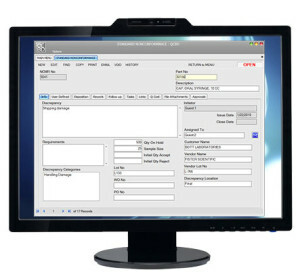 Control and evaluate suppliers and assess supplier quality and performance. 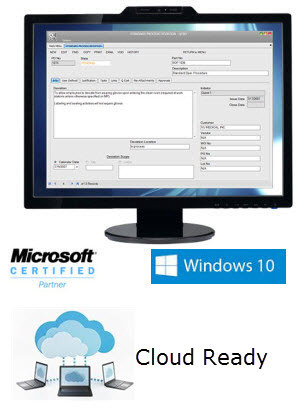 QCBD is a Windows-based client server application (not a web application). Designed to be scalable and to grow with your business. Start small and add modules and upgrade when you need it.